A: That simple / unpleasant aesthetic suits our music and sense of humor. 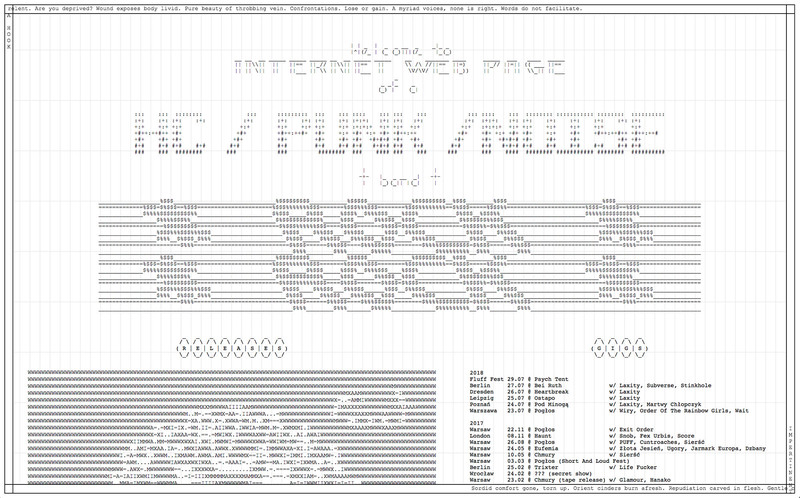 Having a "band website" is an oldschool concept anyway. It's better to stay away from greedy music platforms and keep control by hosting an independent website, like you would in the olden days. A: We do everything by ourselves. Its a result of a collective effort of Rafal, Karolina Karol, Duszan (band) and dreamlandsyndicate.com (label).